Looking for aquatic invasive species (AIS) related materials for an outreach event, classroom activity, or workshop? PA Sea Grants is here to help! We have several items available through the Stop Aquatic Hitchhikers and Habitattitude programs. 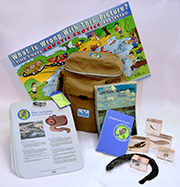 A "Grab and Go" teaching tool - the Aquatic Invaders Attack Pack - is filled with materials to help teach students and other groups about Great Lakes aquatic invasive species (AIS), the problems they cause and what can be done. Each pack includes preserved specimens of some of the most problematic AIS in the Great Lakes, rugged plastic fact sheets, a classroom guide, a Pennsylvania Aquatic Invasive Species Field Guide, and a USB flash drive containing 10 lesson plans created by the Great Lakes Sea Grant Network. The packs are designed to complement the Nab the Aquatic Invaders! website hosted by Illinois-Indiana Sea Grant. The AIS Attack Packs are available to Pennsylvania - to loan only. Contact invasivespecies@psu.edu. The Attack Packs were created by the University of Wisconsin Sea Grant Institute as part of a Great Lakes Sea Grant Network grant from the Great Lakes Restoration Initiative. 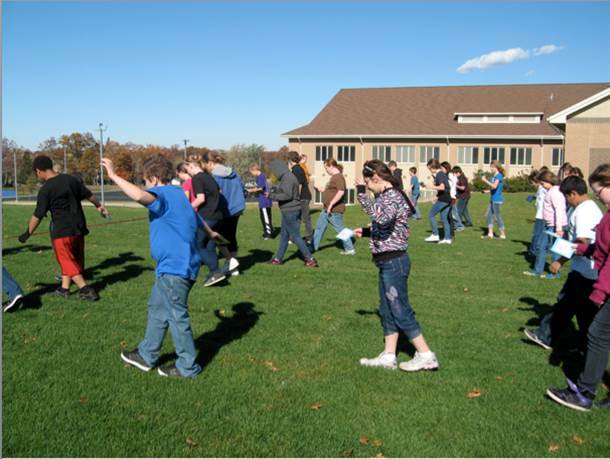 Pennsylvania and New York Sea Grants worked together with funding from the Great Lakes Restoration Initiative to compile lesson plans focusing on the potential interactions between AIS and the changing climate that may exacerbate their impacts and cause changes in species distribution. These lesson plans have been updated and adapted from existing climate change or AIS curriculum, to reflect these interactions. Turn your students into super sleuth detectives! Visit the NAB THE AQUATIC INVADER website from Illinois-Indiana Sea Grant and you and your students can track down some of the most wanted invaders in the Great Lakes and beyond! Interested in a workshop to learn how to apply these resources in your classroom? E-mail invasivespecies@psu.edu for more info.